I think this has been done by the owners of the shop they’re on, as they stock a lot of Japanese stationery. 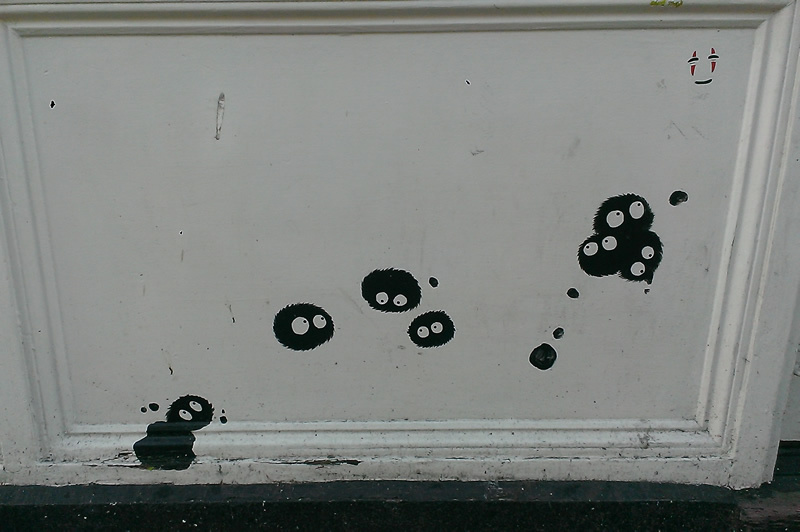 I love these little soot sprites (Susuwatari, from My Neighbour Totoro), and they always make me smile when I walk past. The shop is Lavender Home, and you can find it at 255 Portobello Road, W11. I’ve been having a bit of a catch up in the studio over the past few weeks, trying to sort out the rather chaotic mess of half-finished projects so that I’ve got room to start work on some new things. 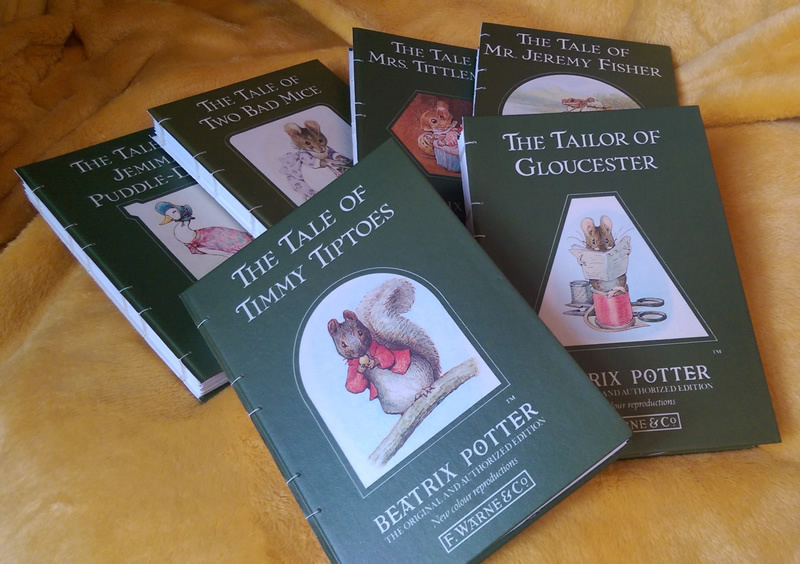 One of the many piles consisted solely of partially completed Beatrix Potter notebooks, which took quite some time to work through but I did eventually get them all finished. My current stock includes some of the Peter Rabbit ones, which usually sell out very fast so if you want one then you’d best get moving! They’ve all been added to my Etsy shop now, and you can view them all by clicking here. Want to get 10% off your order? Use coupon code JAN2015 during checkout. This code is valid on orders over £10, and expires at the end of January 2015. 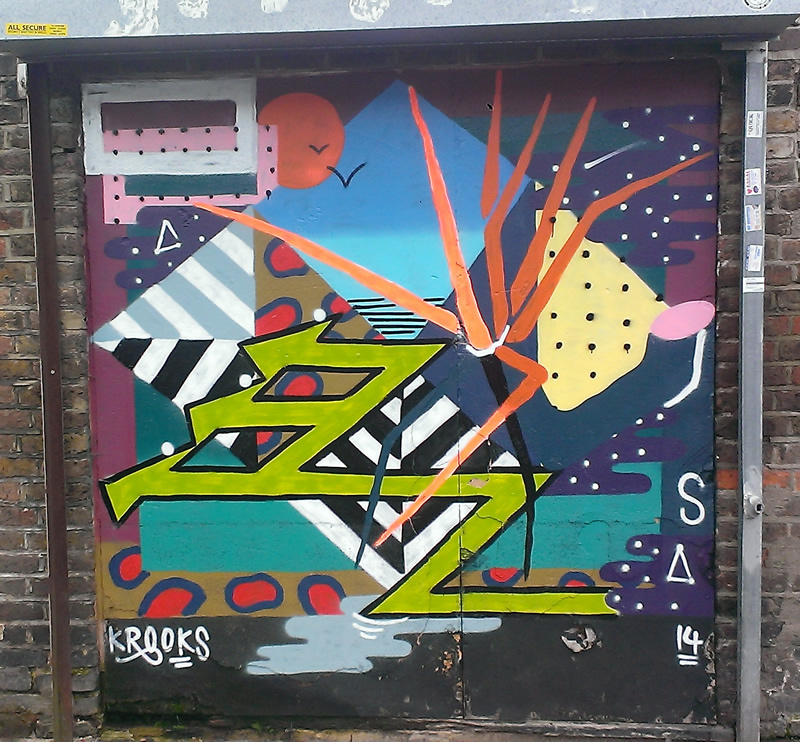 Another colorful piece by Krooks (to see another piece by this artist, click here). 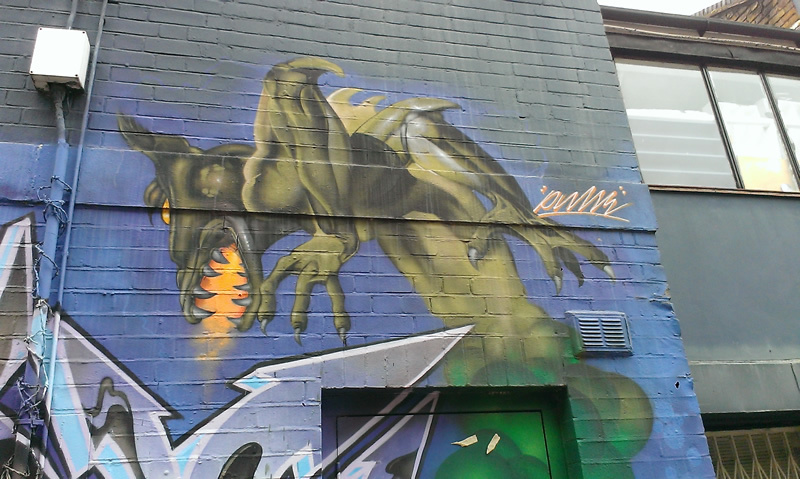 This one is at the western end of Ilbert Street, W10. 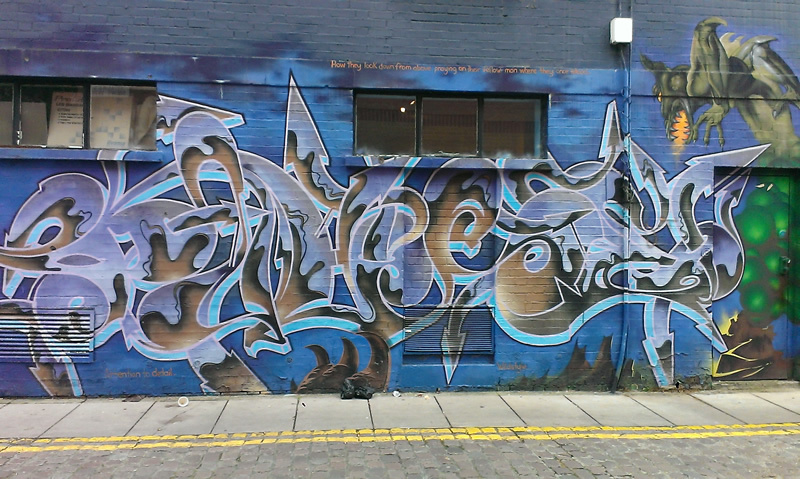 I stumbled across this piece while taking a back route behind Portobello Road. You can find it in St Lukes Mews, W11. I thought the style looked familiar, and took care to photograph as much detail as I could… and lo! 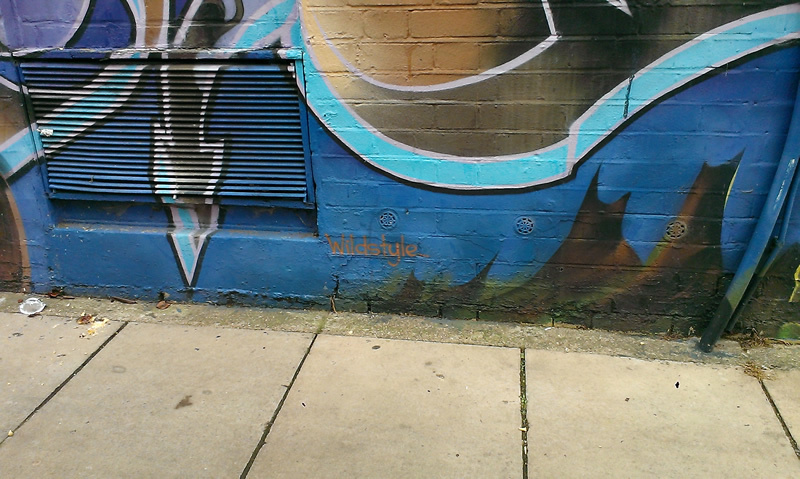 When I got home and checked, I had already spotted another piece by the same artist (click here to see that one). 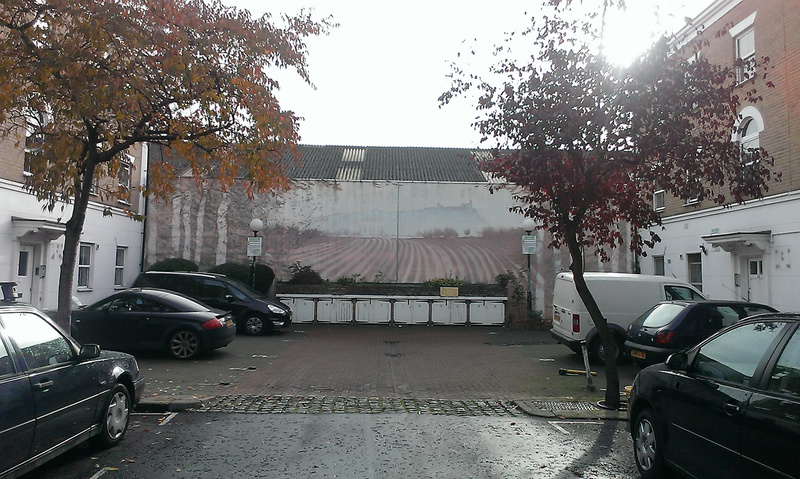 A nice mural is our piece for today. 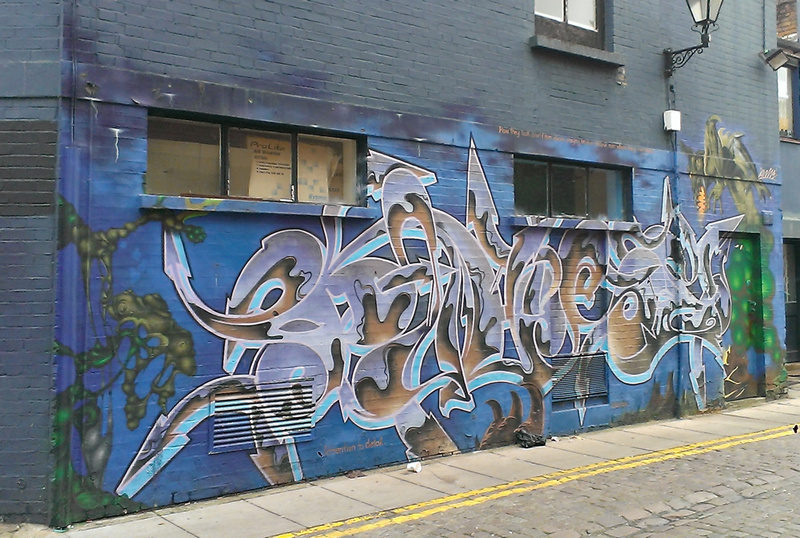 It can be found in Calderon Place, W10.